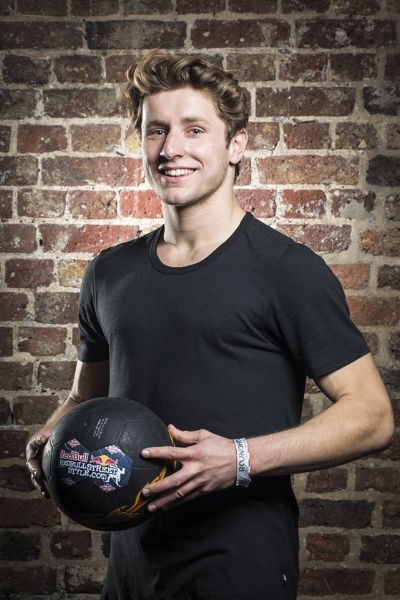 Martin Schopf is the multiple times and current champion of Austria, and one of the most well-liked and respected figures in the global freestyle football community. His unique fusion of breakdance elements together with traditional freestyle gives him a one-of-a-kind style that's impossible to find anywhere else. As well as performing all over Austria and the neighbouring countries, Martin has been invited to all corners of the world to compete and represent his country at the highest level. Martin loves entertaining people and has a brilliant stage presence, making him the obvious #1 choice in the country for all of our clients. To contact Martin or for any general inquiries regarding Austria, simply email us at info@worldclassfreestyle.com or use the submission form at the bottom of this page.